The Morgan Monroe M-10N Solid Top dreadnought acoustic guitar has a great tonal soul that delivers a balanced and articulate sound. The solid spruce top transfers a warm and rich tone with just the right amount of bass response without sacrificing any mid range character or top end definition. Married to a mahogany back and sides, the M10-N is right at home in whatever style you play. 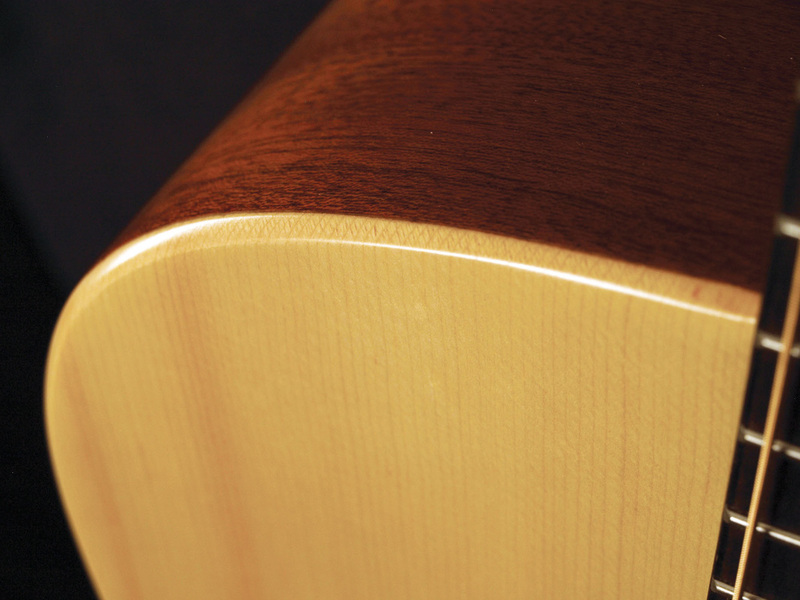 The unique beveled edges of the guitar's top (along with the light satin finish) gives it one of the most comfortable playing guitars you've ever picked up! Pure tone, pure Morgan Monroe.